Live London Workshop – Back to School, Back to ME! September is the new January for busy mums. The kids go back to school and it’s the perfect opportunity for a FRESH START. Kelly Pietrangeli, creator of Project Me for Busy Mothers, is offering London area mamas something extra special this year. A live Back to School – Back to ME Workshop to help you get back on track again after the summer break. In this hands-on, fun and practical workshop, you’ll have two full hours to focus on YOU. You’ll get clear about your goals and intentions for this next quarter so you can glide into the holiday season feeling like you’re on top of it all (for a nice change!). What are your challenges? What needs figuring out? What systems can you put into place now instead of falling back into your old ways? No matter what your specific challenges are, you’ll walk away with your own step-by-step plan of action to make it happen. A bit of forward thinking now means less pulling your hair out later. You’ll begin to live your life with a proactive (instead of reactive) approach. You’ll feel calmer and more in control. Workshop size will be limited, so secure your spot by paying a 50% (£15) deposit via PayPal. Click here for PayPal and then enter £15 – plus leave a note with your email address so I can send you a reminder. The deposit is non-refundable, but you may transfer your spot to someone else if you can’t make it. The remaining 50% (£15) may be paid in cash on the day. Once the workshop is full, I’ll remove the PayPal link above and replace it with SOLD OUT. A portion of proceeds for all Project Me workshops, retreats, and programmes are donated to charities that support vulnerable mothers. Mothers supporting mothers – we’re in this together. 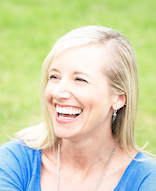 Kelly Pietrangeli is the Mama Motivator behind www.myprojectme.com, an online platform dedicated to inspiring and empowering mothers to become pro problem-solvers and find a happier balance by looking closely at what is and what isn’t working well in their lives. Her tools and resources make it easy to take small steps that lead to big results. Kelly walks her talk. She’s candid about her struggles and openly shares what has and hasn’t worked in all areas of her life. Her ongoing quest for personal and professional growth is an inspiration to all that follow her popular blog, read her guest publications, attend her workshops and retreats and participate in her online programmes. She’s not afraid to kick you up the backside if you need it, but her style is gentle and encouraging, never brash or bossy. She inspires without intimidating, always encouraging a ‘be easier on your yourself’ approach with plenty of permission to ‘drop the guilt’. The Project Me book is available for Amazon pre-order now!